This post originally appeared on the Dealspotr blog. Dealspotr is the most accurate coupon site that pays you to save. I'm @pammyblogsbeauty on Dealspotr, use my link to join today and earn 5,000 bonus points. When extreme couponing became big in the past decade or so, there were few outlets that offered coupons online, let alone outlets where extreme couponers could share their methods for saving money. Today, almost every extreme couponer has their own site, and there are more popping up quite often. If you're new to the coupon world, these extreme couponers can be a big help to you. With online video tutorials, guides, and printables like grocery lists and savings calendars, couponers have put together their own online couponing classes, where coupon newbies can learn the tricks of the trade. 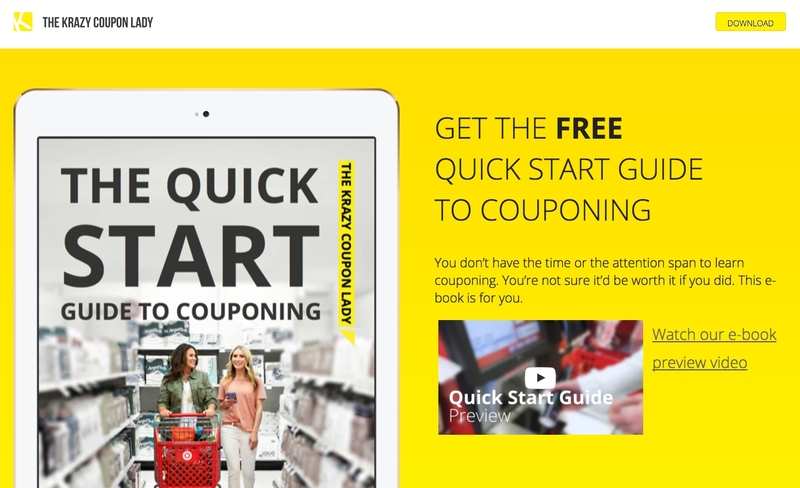 We've come up with 10 free online couponing workshops that offer "Couponing 101" guides and resources for anyone looking to get into the world of couponing. 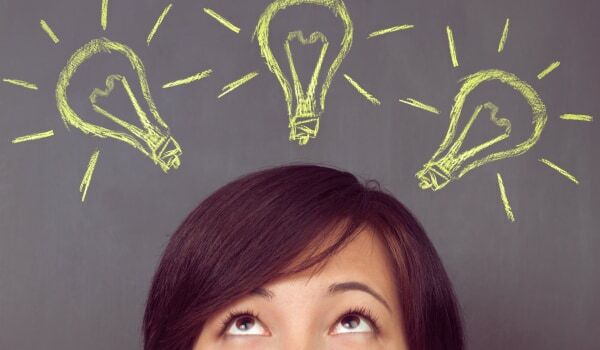 Read on to see which site you should use to start your journey to savings. Jenny, who heads up Southern Savers, has really put a lot of time into her couponing workshop. It comes complete with a 30 page handbook, outlining multiple categories like when to buy products so you know you’re getting their rock bottom price, and how to save your Sunday inserts to keep yourself organized (and in turn, sane). 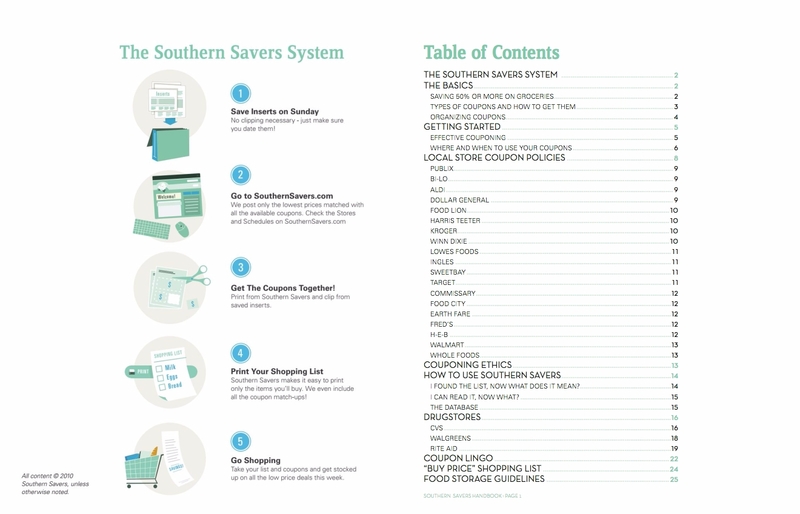 While the site is dedicated to couponing in the Southern states (she even has a guide to the couponing policies at Winn-Dixie and popular Southern grocery stores), the handbook is available online, accessible to anyone. Jenny takes her class on the road with in-person workshops - so if you're located in the South, maybe you'll catch her on tour. While she doesn’t offer just one overall class, the ladies of Krazy Coupon Lady (Heather Wheeler & Joanie Demer) have many resources available on their site, including free e-book in exchange for an email newsletter signup. There's also the Krazy Coupon Lady YouTube channel, which offers high-quality videos to help with couponing at major stores like Rite Aid & Target. Toni's channel, offered solely on YouTube, is good for anyone who prefers a strictly video-based learning experience. 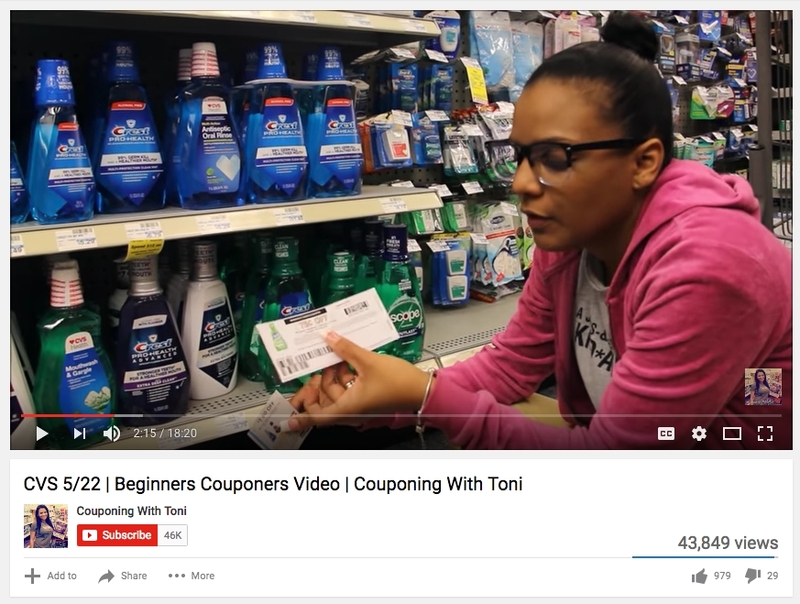 Toni updates her channel frequently, and entertains her viewers by reviewing the latest coupon inserts, and taking them with her on her latest trips to the store. She also offers videos for beginners often, like this one for couponing at CVS without Extra Care bucks. Our Passion For Savings App is a great resource for new couponers. They can look up deals by store, get instant deal alerts when new coupons are posted, and there's also a tab to learn how to coupon with videos, tutorials and more to help them get started! ConsumerQueen.com offers complete store match ups, printable coupons and freebies. We teach you hot to find the hottest deals online, how to eat organically and save and we even have Lessons on How to Coupon! We even take it one step further and offer a online support group on Facebook where more than 12,000 people are helping each other find deals. "A purchase is a single item and a transaction is your entire order. When a coupon states “One per purchase” – This means one manufacturer coupon per item that you purchase." Dian and her husband run Grocery Shop for FREE. On the side, to the benefit of new couponers, they have a podcast that touches on a different way to save in every episode. There are frugal date night ideas, Amazon hacks, and tips on couponing at specific stores. 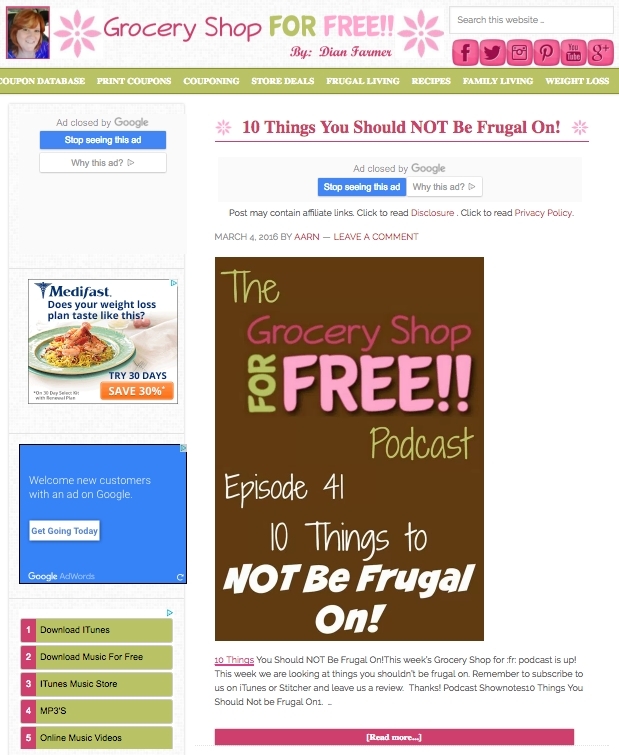 Along with the podcast, there are tons of free resources on the site, including links to Dian's couponing e-book, and grocery list printables. This newer site is the brainchild of Laura Thornquist & Natalie Reid, formerly of their own blogs My DFW Mommy and Coupon Crazy Mommy, respectively. 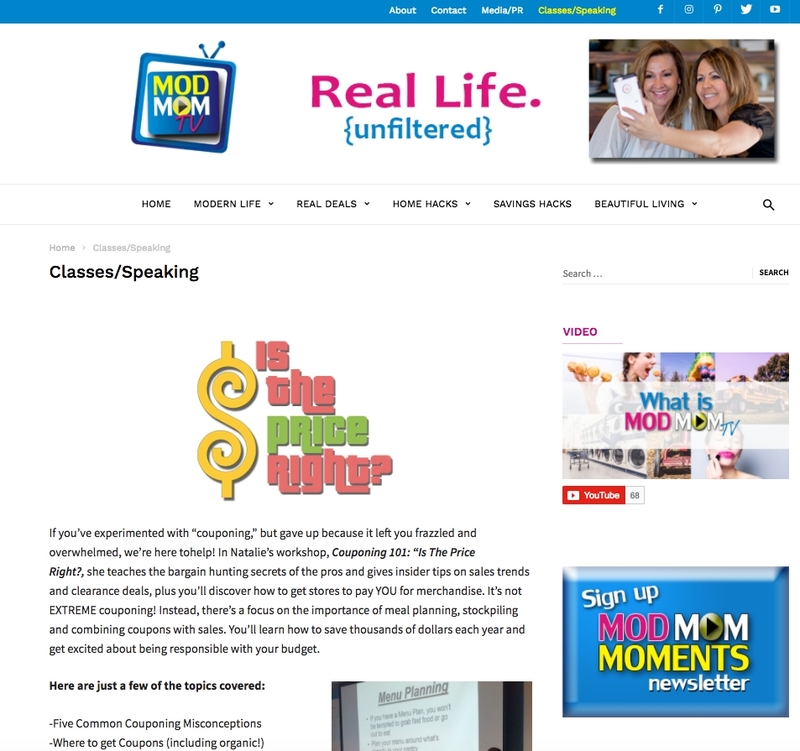 The two frugal bloggers joined together to create ModMom TV, where they now talk about more than just coupons. But in keeping with their roots, the duo still offers a couponing class. 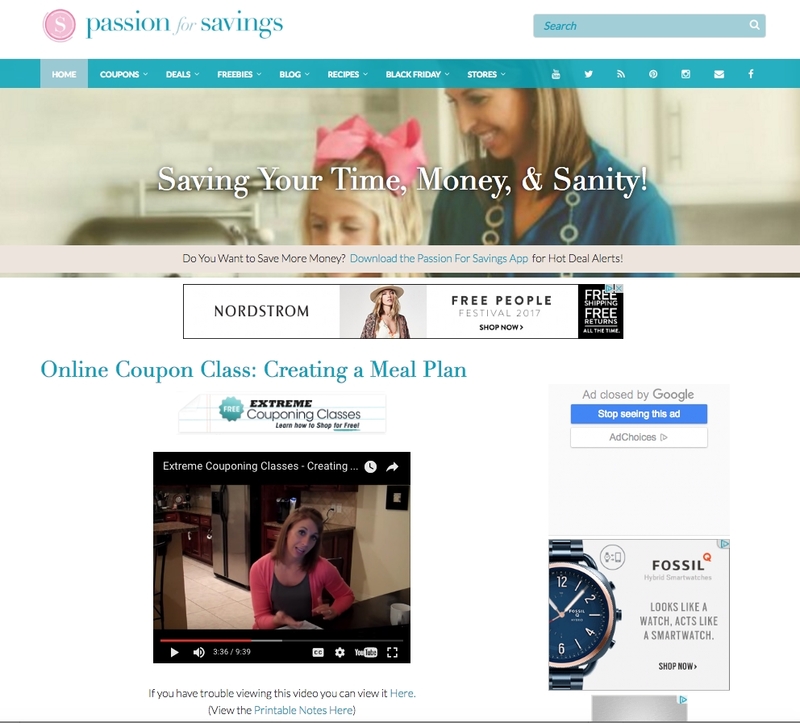 By signing up for their newsletter, you get access to an hour-long private video that includes a presentation by Natalie on how to get the most out of your coupons, plan your meals to save money, and get cash back on your purchases. Yes We Coupon sets itself apart with its couponing workshop, as the site lays out a plan to learn couponing in just seven days. In one week, they guide you through organizing your coupons, finding said coupons, and even practicing ethical couponing. 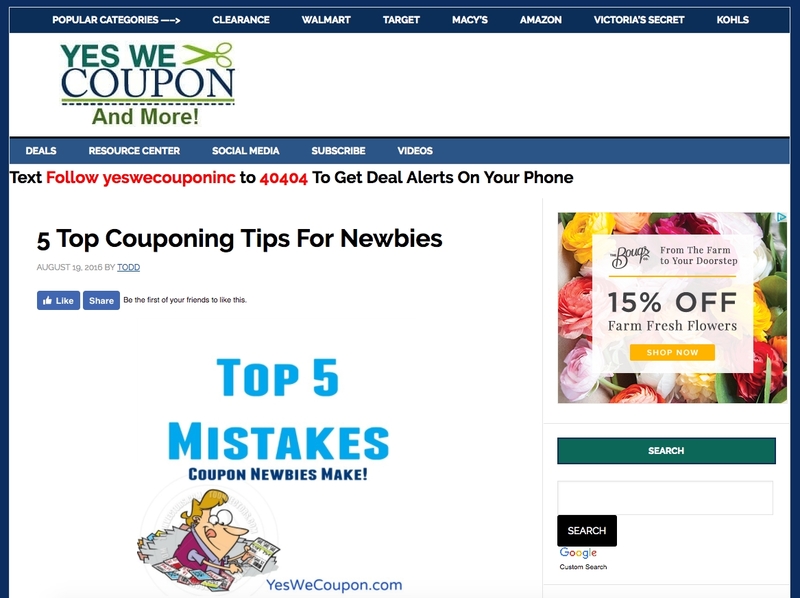 There’s also a helpful list of 5 mistakes new couponers can make, like buying too much too soon and spreading your coupons across too many stores. But don’t worry, they offer remedies for these classic mistakes, too. Yes We Coupon is a team of bloggers dedicated to bringing you the hottest deals. We post coupon previews, online deals, glitches, clearance, and the latest coupon news and product recalls. We also offer many groups owned by us where we interact with our members one on one and help newbie couponers. 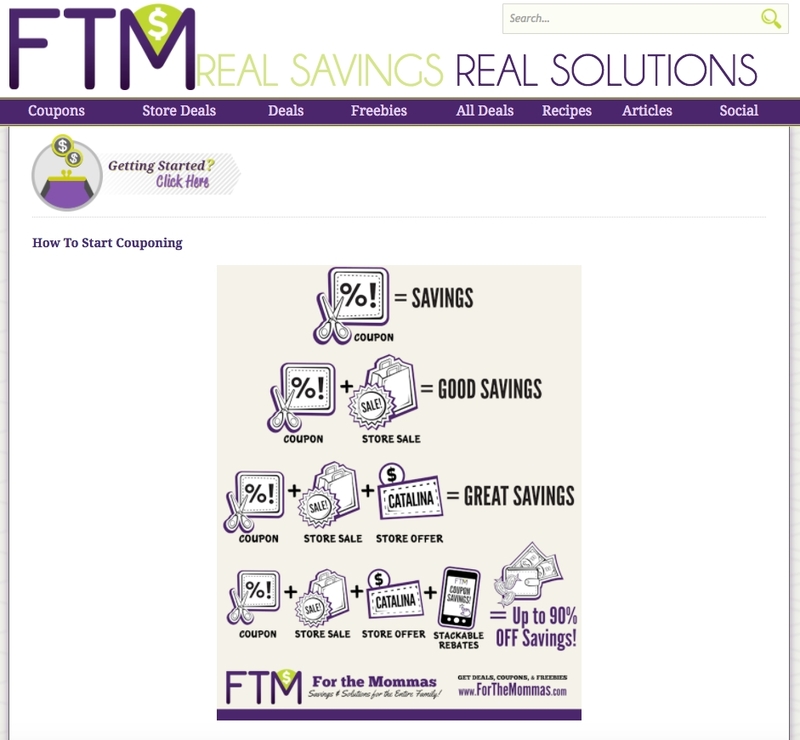 For those of you looking for a quick, no hassle way to get started with couponing, For the Mommas is a great resource. With simple infographics and a real-life example of buying orange juice, newbie couponers can quickly learn the fundamentals of couponing, including collecting, organizing, and stacking coupons. Emily Helwig posted this article on the Dealspotr blog.